Track Palin Again Arrested For Domestic Violence - Joe.My.God. The eldest son of ex-Alaska Gov. Sarah Palin was busted for assaulting an acquaintance at his Alaska home — his third domestic violence arrest in less than three years. 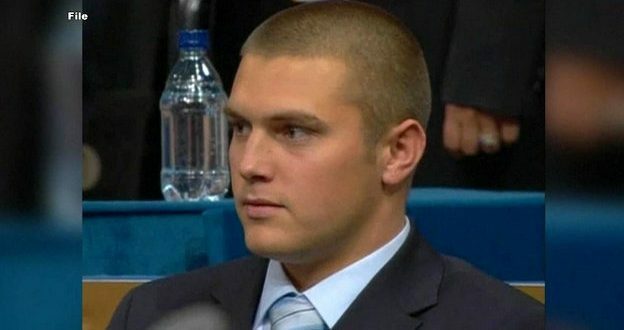 Track Palin, a 29-year-old Army veteran, was arrested Friday night at his Wasila home on misdemeanor charges of fourth-degree domestic-violence assault, interfering with the report of a domestic-violence crime, resisting arrest and disorderly conduct, according to an online dispatch obtained by local station KTVA. This is not the first brush with the law for Track Palin, who served in the U.S. Army and is known to have been deployed to Iraq for a year. In June, Palin pleaded guilty to assaulting his father, Todd, at the family’s Wasilla home. In that case, Palin showed up at his parents’ home to confront his father, who met him at the door with a pistol, according to the original charging documents in the case. In mid-2016, Track Palin entered a plea deal for two years of probation following a domestic violence arrest at the family home in January that year. In that case, a woman told authorities Palin punched her in the face and had a gun, according to charging documents.